Many visitors to Thailand dream of connecting with an elephant and often end up doing some kind of Thai elephant tour. 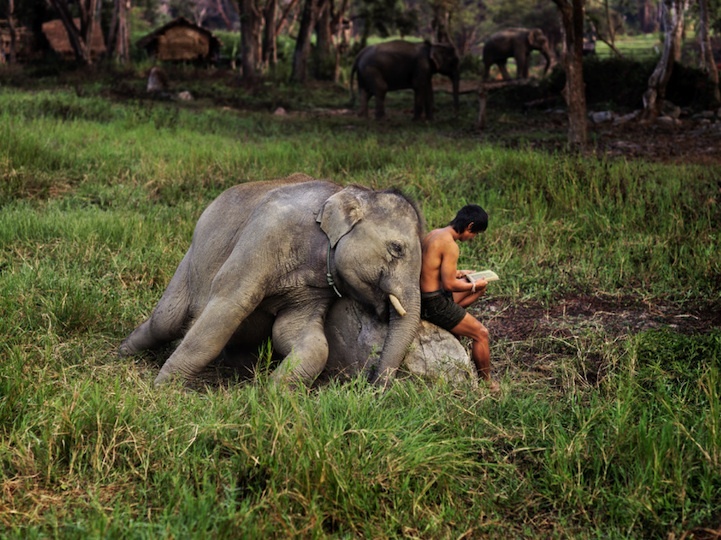 The Thai people love elephants and the symbiotic relationship between elephant and mahout is a time honoured part of Thai culture. However, there are some issues we should be aware of. Especially if visiting Thailand. In the last 100 years, wild elephant numbers have dropped from 100,000 to just 2,500 today. These wild elephants are listed as endangered and therefore protected. However, there are no such laws to protect domestic elephants. Many are abused. Baby elephants are sometimes separated from their mothers to earn their owner big bucks, posing for photos with tourists who are oblivious to what they’re supporting. Young elephants are still sometimes tormented with nails driven through their ears and feet to break their spirit and force them into submission. This is a practice that, with varying degrees of cruelty, is carried out in almost every Asian nation that domesticates elephants. So, can you still visit Thailand, have an elephant experience and not be a part of the problem? At AdventureHoney, we’re lucky enough to have found one operator that is taking up the fight against elephant abuse in Thailand. Nestled in the jungle just out of Chiang Mai, previously abused elephants roam free in their natural habitat. Visitors are given the chance to not only ride Thai elephants bare back, but to wash, feed and care for them with their Mahout. It’s a beautiful, unique way to not only connect with the elephants but to do so in such a way that ensures they are not abused. ← If your life were a book, would anyone want to read it?